Silas Weir Mitchell was a respected Philadelphia doctor and neurologist. He was also a popular writer whose genres included psychological realism and historical romanticism. Born into a Presbyterian household in Philadelphia, he had a religious and moral background. His father and grandfather were doctors, and he followed in their footsteps, completing a two-year curriculum at Jefferson Medical College in 1850. Subsequently he took over his father’s practice. In 1858, he married Mary Middleton Elywn, with whom he had two children, John (1858) and Langdon (1862). In 1874, after his first wife died of diphtheria, he married Mary Cadwalader, and they had one child, Maria, who also died of diphtheria in 1898. During the Civil War, Mitchell worked as a surgeon in the Philadelphia army hospital where he became interested in phantom limbs and the effects of psychological health on physical health. He wrote extensively on medical issues such as snake toxins, phantom limbs, and neuralgia and neurasthenia, paralysis, hysteria, and epilepsy. In the 1870s, at the height of his medical career, he established a teaching clinic at the Orthopedic Hospital and Infirmary for Nervous Diseases. In his literary career, Mitchell was prolific and considered a celebrity during his lifetime. By 1880, his reputation as a respected physician and neurologist was cemented and he began to sign his work; previously he had published anonymously. Although his most famous work is Hugh Wynee: Free Quaker (1897), he published twelve other novels, volumes of poetry, short stories, and novellas. Written by Silas Weir Mitchell (1829-1914) and published in 1908, The Red City: A Historical Novel of the Second Administration of President Washington is a historical romance, a genre whose plot typically consists of a quest, followed by trials, and ending in marriage. Mitchell presents a view of Philadelphia in the 1790s as politically divided between the Federalists and the Republicans and serving as a refuge for French émigrés, all the while managing to glorify his native city, which served as the nation’s capital. Philadelphia is the red city of the novel’s title, so-named for its red brick buildings. Set during the French Revolution, The Red City tells the story of Vicomte Rene De Courval, a French émigré. After a Jacobin mob murders his father, and Carteaux, the villain of the novel, exposes him as an aristocrat, De Courval travels to America with his ailing mother. While boarding in the home of the Quaker widow Mary Swanwick and aided by Hugh Wynne—the protagonist of Mitchell’s novel Hugh Wynne: Free Quaker (1897)—Rene learns about this new country, works hard, and endures hardships that help to usher him into manhood. Rene also experiences Philadelphia’s yellow fever epidemic of 1793, which devastated the city and killed an estimated 5,000 people, and sees the effects of the slave revolt in Santo Domingo when white French residents and their slaves arrive in Philadelphia, fleeing the rebellion. Ultimately, he foils the treacherous Carteaux. As dictated by the novel’s genre, the plot sees the hero, Rene, marry the commoner Quaker Margaret Swanwick, and return to his aristocratic position in France, becoming a general in Napoleon’s army. The author Mitchell was a respected Philadelphia physician in addition to being a popular writer. Hugh Wynne: Free Quaker proved to be the most popular of his novels, but The Red City sold over 50,000 copies and was serialized for $12,000, the highest price paid for any of his works. The importance of this particular work is its presentation of a post-Revolutionary America and the struggle to unite the new country despite the differences in people’s moral and political values. It also demonstrates how America, despite winning its own independence, was disrupted by revolutions occurring abroad as émigrés arrived on American soil. Cervetti, Nancy. 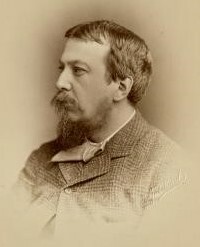 S. Weir Mitchell, 1829-1914: Philadelphia’s Literary Physician. University Park, Pa. : Pennsylvania State University Press, 2012. Griffith, Kelley. “Weir Mitchell and the Genteel Romance.” American Literature 44. 2 (1972): 247—61. Hayne, Barrie. “S[ilas]. Weir Mitchell (1892-1914).” American Literary Realism, 1870-1910 2.2 (1969): 149–155. Thomas, George E., Jeffrey A. Cohen, and Michael J. Lewis. Frank Furness: The Complete Works. New York: Princeton Architectural Press, 1996. Walls, Laura Dassow. “S. 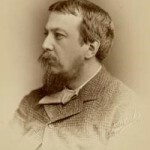 Weir Mitchell (15 February 1829-4 January 1914).” Nineteenth-Century American Fiction Writers. 202. Detroit: Gale, 1999. Silas Weir Mitchell Papers, Historical Medical Library of the College of Physicians of Philadelphia, 19 S. Twenty-Second Street, Philadelphia. President’s House Site (Independence National Historical Park), Sixth and Market Streets, Philadelphia. Germantown White House (Independence National Historical Park), 5442 Germantown Avenue, Philadelphia. Really good. I’ve come across his name often, but was not sure of his contribution. Cool stuff.